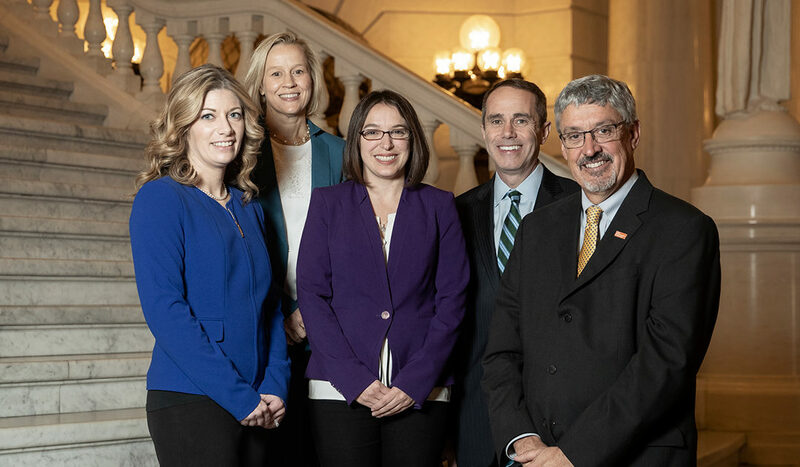 Harrisburg, Pa. − January 31, 2019 − Today, 17 members of the Pennsylvania Senate Democratic Caucus announced that they are seeking cosponsors for a bill that would abolish the statute of limitations for sexual abuse, assault and misconduct. “Passing this important piece of legislation tells victims that they matter, regardless of when they’re ready to come forward, and that they have the opportunity to seek justice,” said Senator Katie Muth. Senators already signed on to sponsor the bill are: Senator Timothy P. Kearney and Senator Maria Collett, Senator Katie J. Muth, Senator Steven J. Santarsiero, Senator Lindsey Williams, Senator John P. Blake, Senator James R. Brewster, Senator Jay Costa, Senator Andrew E. Dinniman, Senator Lawrence M. Farnese, Jr., Senator Wayne D. Fontana, Senator Vincent J. Hughes, Senator Daylin Leach, Senator Judith L. Schwank, Senator Sharif Street, Senator Christine M. Tartaglione, Senator Anthony H. Williams.